Fans of Blink 182 and Jimmy Eat World will love Relient K's awesome mix of tight power punk and lyrics that reflect their love for Jesus. 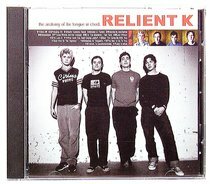 This awesome second album put Relient K at the forefront of the Christian punk scene! About "Anatomy of the Tongue in Cheek"